While Christmas is only but a few weeks away there’s no need to panic. With New York City’s New York Style Bed & Breakfast and charming alternative to New York City Hotels 1871 House as your home base, everything you could possibly want or need is at your fingertips. Even a short stroll will lead to many of Manhattans best places. Be it Lexington Avenue, Madison Avenue or 5th Avenue, there is an incredible selection of stores surrounding 1871 House. Shops are decorated and are ready to help you choose that perfect gift. Find the perfect holiday sweets at Dylan’s Candy Bar, the worlds largest candy emporium. Beautiful displays have something for everyone. Holiday minibins filled with Gummy Santas, hot chocolate sleighs, gingerbread men and mini licorice candy canes, chocolate dipped nutcracker gift box, and holiday chocolate bars! Holiday Windows are here again! Starting in mid-November, many stores along New York City’s Fifth Avenue create their magical annual holiday windows. Barney’s, Berdorf Goodman, Bloomingdale’s and more! In between picking out sweaters and presents, stop outside these department stores to take in their thrilling artistry. The holiday windows are one of the best things to do in NYC during the holidays for both locals and tourists alike. The Rockefeller Center tree is already up and lit and the ice skating there has begun. Performances of Handel’s Messiah and Tchaikovsky’s Nutcracker, perennial December favorites, are already underway. The New York Philharmonic, for example, performs the former for several nights, beginning December 16th. The Particular magic of the holiday season depends, you might say, on a sensation of general cheer, the feeling that many others are delighting in the same traditions, festivities and rituals as you are, In a way, the mass celebration of major holidays is a kind of temporary reminder of the type of cultural solidarity which, for many people, appears infrequently if at all in today’s heterogeneous social landscape. It’s a brief time when a kind of order appears: adults with gifts, children with candy-canes, the ice skating, these are the signs you can count on. Perhaps this is the reason why being in New York for Christmas is always something especially memorable: simply that there are so many fellow revelers. For a short period, the throngs of New Yorkers on the street cease to be merely other commuters or annoyingly slow moving tourists. Instead, they are partners in the feeling of the season. From Miracle on 34th Street and before to more recent films, songs, and other media, New york has long figured prominently in the mythology of the Christmas season in the popular imagination. 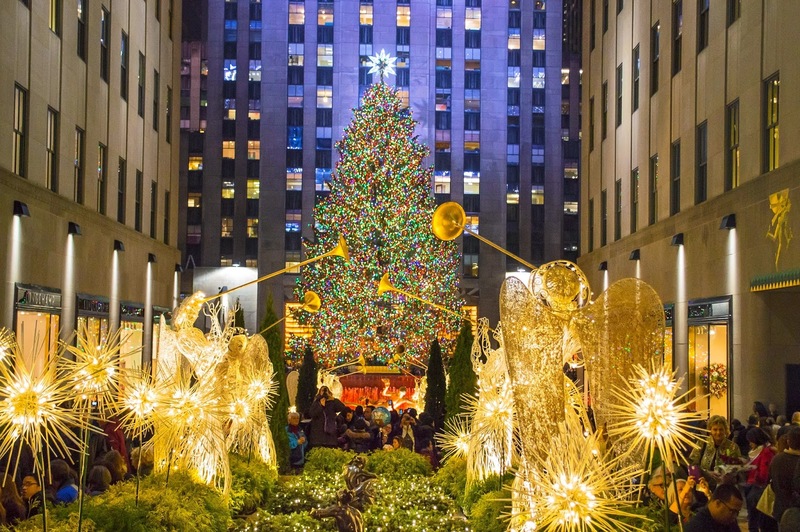 If you’ve never had the chance to stroll down Park or Madison Avenue in late December, with the lights and displays all ablaze with festive celebration, this year just might be your chance! This entry was posted in Uncategorized and tagged Christmas, holidays, Hotel, UES, Upper East Side by admin. Bookmark the permalink.